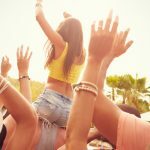 The recent 2016 “Listen Out” festival is another example that the government’s approach to drug enforcement is ineffective and even dangerous, putting party-goers in harm’s way. Despite the heavy police presence at the festival, reporters said they were offered drugs before even stepping inside the front gates. This is despite there being at least 25 visible police officers and two sniffer dogs searching patrons for drugs. Indeed, toilet cubicles were reportedly littered with the remnants of drug packaging, as 25,000 people attended the sold out event at Centennial Park. All up, 116 people were arrested for drug possession and 13 for drug supply. Contemporary attitudes to drug use and enforcement at music festivals appear to be changing; partly due to a spate of deaths resulting from ‘loading up’; where users take a large quantity of drugs before a festival, or when they see police or sniffer dogs approaching at festivals. 25 year old Sylvia Choi, a qualified pharmacist from Sydney, died at the Stereosonic music festival after taking a mixture of ecstasy and MDMA inside a water bottle. The tragedy followed the death of 26 year old Nigel Pauljevic who was found unconscious at the Defqon.1 festival and yet again, in October 2015, 23 year old Anneke Vo was found dead on the grounds of the Dragon Dreaming Festival in Wee Jasper southwest NSW. Earlier still, 17-year old Gemma Thoms lost her life after taking drugs at the Big Day Out music festival. Loading up, high purity levels and/or deadly fillers are suspected to have been factors in the tragedies. 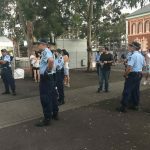 Despite more police and sniffer dogs being present, arrest rates for the 2016 Listen Out festival were higher than in 2015, when 114 people were arrested, suggesting the increased police presence is doing little to deter drug use. 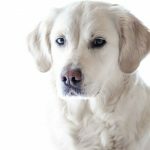 The deaths have bolstered calls for sniffer dogs to be banned and ‘harm-minimisation’ measures to be adopted at music festivals. “There has got to be a better way and as long as young people are dying from this in Australia, we’re doing something wrong … the answer isn’t simply, in some sort of paternalistic way, to turn around and tell an entire community they’re naughty for using drugs, because they are going to use drugs”, Dr Caldicott says. Like many others, he is a strong advocate for the introduction of ‘pill testing’ at music festivals. Pill testing is where users are able to have the chemical makeup of their drugs tested, in order to detect potentially deadly chemicals and purity levels. The testing procedure can take as little as half an hour, after which users can make an informed decision about whether to take the drugs and, if so, how much. 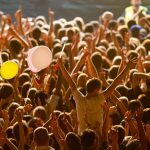 Pill testing has proved to be extremely successful in several European countries, slashing the number of drug overdoses at music festivals and other venues. 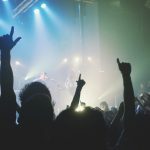 There is significant support for pill testing in Australia, too – a Government Survey found that 82% of 2,300 young Australians surveyed support the it introduction. However, Premier Mike Baird has so far rejected calls for pill testing to be adopted in NSW, preferring to continue with the current approach, which will inevitably lead to the preventable loss of young lives in the future. Want to Get Away with Crime? Become a Diplomat!